So I sort of (entirely) missed writing about my Blind Spots this year, BUT I have been watching them all! I’ll try and do better from now on. Here’s an update with my quick thoughts on the first four movies of the 2017 Blind Spot Challenge: The Lady From Shanghai, Hiroshima Mon Amour, To Kill a Mockingbird, and 12 Angry Men. …because I LOVED Hiroshima, Mon Amour. Is this really a surprise? An affair in a foreign country (hello, actual hiroshima) between two tortured souls with a very slim chance for a happy ending? Say no more. I’ll admit, nouvelle vague… you gotta be in the mood for it. But when you are, oh man, it’s like poetry on film. It carries so much feeling. In this case, loneliness and longing and every thing sad and beautiful about love. It fills up your heart so much, it breaks. Let start by saying, I know this is a classic gem, a really good movie. 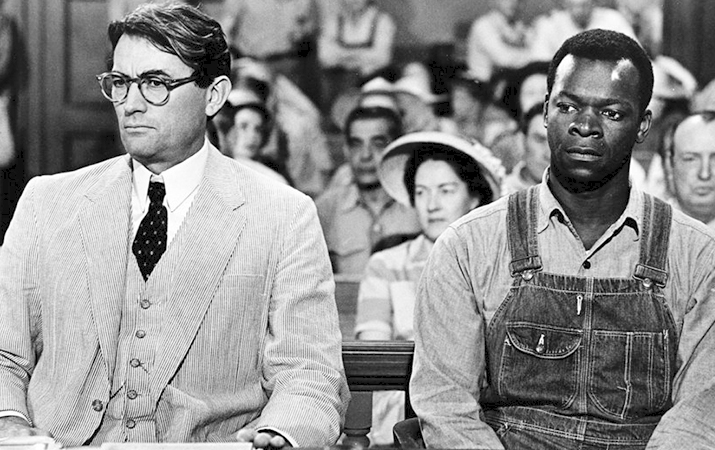 From a purely objective point of view (if that even exists), I agree: To Kill a Mockingbird is one of the greats. But my personal enjoyment of it? I’m afraid it’s another meh. 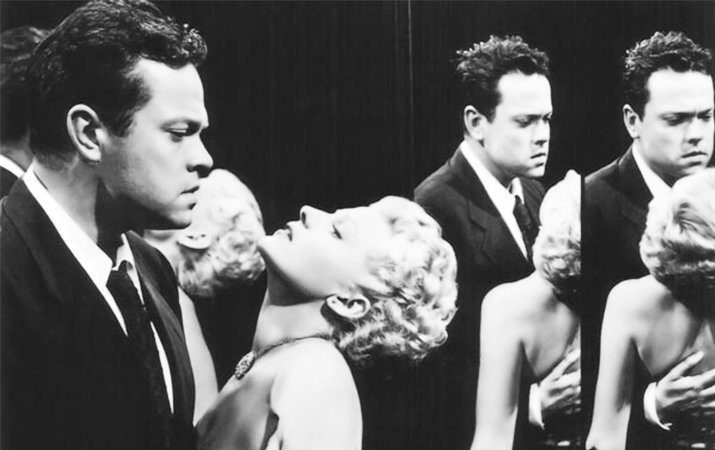 And a bit for the same reason as with The Lady From Shanghai: I simply wasn’t invested in the story and characters. Except for Gregory Peck’s, but honestly he could be a monkey and I’d still be very invested. What can I say? The most exciting moment was when I finally figured out who Robert Duvall was playing. And finally, I watched 12 Angry Men, which interestingly felt like the other side of To Kill a Mockingbird. We never get the side of the one on trial, nor his defendants or prosecutors, but only of the jury trying to reach a verdict. The movie begins right when the jury is left to deliberate in private. We’re taken to a room with twelve men, and for an hour and a half, we don’t leave it. I’m usually a fan of this kind of film – single location, simple premise, plenty of talking – when done right, and thankfully, this was done right. A spotless script and camera work kept up the rhythm as time flew by without one minute of boredom. Everyone of the twelve actors provided sound performances, though the spotlight falls upon Lee J. Cobb for a positively raging, emotional performance. There you go, my first four blind spots for 2017! I loved 2 out of 4, still I’m hoping future stats will be more positive. Have you seen any of these? And are you taking part in the Blind Spot series this year? 12 Angry Men was fantastic. It’s hard not to be invested in it, I think it is flawless. I haven’t seen your first two, but the last two are two of my favorite classic films. 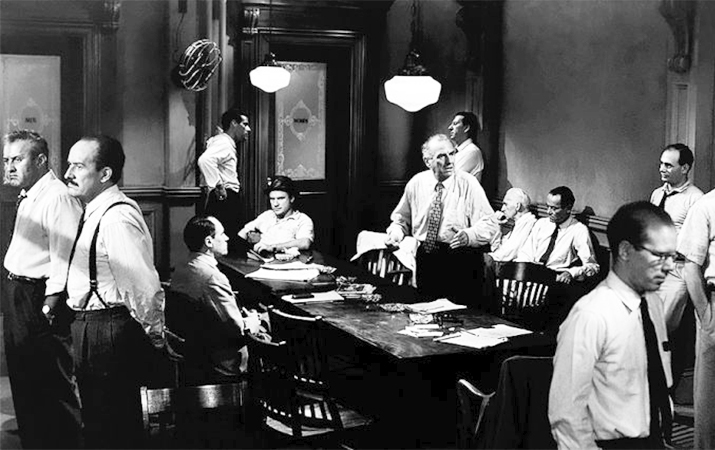 I’ve loved Mockingbird for a long time, but 12 Angry Men was on my first Blind Spot list and that’s where I fell in love with that one. Great review! 12 Angry Men is a masterpiece! I’ve always loved Henry Fonda. His performances are always so understated and controlled. I’m not a fan of classics.. it’s one of my biggest annoyances with myself, that I can’t seem to stick to a black and white movie even if I tried. But I have watched (and sometimes suffered) through some of them. but it’s actually surprising that I’ve seen a movie in your list and loved it – 12 Angry Men. Like you, I do love a set up in a single location, Phone Booth being one surprising movie because of this fact, and it’s probably my fav classic. PS: Considering I haven’t gotten through To Kill a Mockingbird for three times, I doubt I’ll ever watch the movie… I’m meh even before I’ve seen it! I know some people who can’t get into classics either, be that because of the b&w or the acting, or the shooting style. But idk, I just fell into them some years ago and instantly loved them! But as with everything, some are just not for me. And it’s kinda sad when it happens with a huge classic like To Kill a Mockingbird or The Lady From Shanghai, bc you feel like you *should* like them, because they ARE good, they really are. Just not… lovable, for me. Maybe you haven’t found the right movies, I bet you could fall for some!